The biggest U.S. crude inventory drop since July of last year was responsible for oil prices on Wednesday continuing their upward trajectory, this time topping $60 per barrel - but the draw downs also exacerbated fears that the global market will soon tighten to the point where prices will become unacceptable in many quarters, including the White House. Crude stockpiles dropped by 9.6 million barrels in the week through March 15, according to the Energy Information Administration, compared with an increase of 309,000 barrels expected by many experts surveyed by Reuters; gasoline inventories also fell, nearly twice the decline anticipated, by 4.6 million barrels. 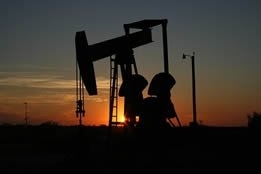 As a result, West Texas Intermediate on Wednesday settled 80 cents higher at $59.83 per barrel, after earlier topping $60; Brent rose 89 cents to $68.50 per barrel. To date this year, WTI and Brent have rallied by 32 percent and 27 percent respectively, after the former losing nearly half its value in the final months of 2018. However, the recovery doesn't necessarily please analysts, who view the EIA numbers not only as proof that the crude market was more bullish than expected, but as another sign the market is tightening - even though only several weeks ago the general consensus was that the world was once again swimming in excess oil, hence the extensive media lip service paid to the Organization of the Petroleum Exporting Countries (OPEC) and its output cuts. Bart Melek, head of global commodity strategy at TD Securities, said, "We're not really going to be relying on increasing supply from Venezuela or Saudi Arabia; we are continuing to see fairly robust demand, so even if U.S. production increases we will probably see seasonally stronger declines in inventory." Morgan Stanley in a note speculated that the output curbs, along with U.S. sanctions against Iran and Venezuela, will soon push the market into undersupply and support Brent prices at $75 "Conversations with several OPEC officials left us with the impression that Brent in the mid-$60s is not where the cartel would like to see it." The bank sees the market undersupplied by 500,000 barrels per day (bpd) in the second quarter, with the deficit expanding to 800,000 bpd in the third quarter (at which point the $75 price mark will kick in). As has been the case many times in the past, the big winners in the current trading scenario are U.S. shale producers: Brian Kessens, portfolio manager and managing director at Tortoise, remarked that "There was some doubt about how much the U.S. could actually export from an infrastructure perspective, and now that we're consistently above 3 million bpd I think there's a lot of confidence that that number can be sustained." But even though high prices benefit many in the industry, they infuriate U.S. president Donald Trump, whose singular focus is American motorists paying for gasoline: John Kilduff, founding partner at Again Capital, said, "You've got to believe we're due for a Trump tweet at some point, but I think with demand, these draw downs, and the refinery snags we've been having, it's kind of a bullish setup."